Every guy should own multiple pairs of sneakers. There’s your true performance shoe, your going-out sneaker and your knock-arounds. When you move to the next level and amass more than five pairs you become an enthusiast. An enthusiast loves sneakers right down to their sole. I’m definitely an enthusiast. As a kid I craved back-to-school time, which for me meant getting new sneakers. The pair I chose would define the school year. My sneaker obsession goes in waves. I teeter from enthusiast to full-on sneakerhead, and in my heyday I even lined up in front of the Adidas store before it opened to get my hands on the latest pair. My affection has simmered some, but I still get a rush from that straight-from-the-factory smell and the sense of pride you get wearing your fresh pair. To me, there are five sneakers that look as good today as the day they first launched. Where did today’s cult classics come from and how do they remain style icons decade after decade? This list is by no means comprehensive but highlights what I think is the recipe for standing the test of time. Are you ready to add a classic to your line up? 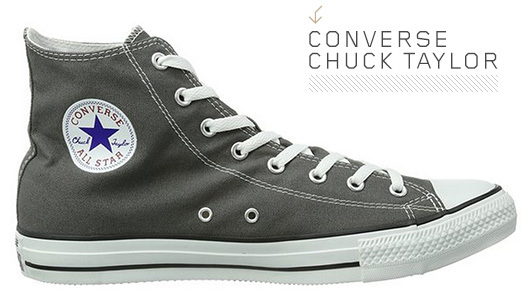 The oldest classic of the bunch is the Converse Chuck Taylor, which debuted almost 100 years ago. One the best selling shoes of all time, “The All Star,” was originally designed as a basketball shoe and was produced by the Converse Rubber Shoe Company. It wasn’t until 1923 that Charles “Chuck” Taylor, a basketball coach and shoe salesman, had his name added to the ankle patch. Taylor had contributed to the Converse redesign and sold the shoe at his basketball clinics. Another shoe that has remained virtually unchanged, Chucks rose to popularity throughout different subcultures during the past century. They featured prominently in the Seattle grunge scene led by Nirvana front man, Kurt Cobain. Converse had a monopoly on the sneaker market until 1970 when it entered several decades of financial struggles. It regained financial stability when the lifestyle giant Nike Inc. purchased the brand in 2003. It’s safe to say that the Adidas Stan Smith has had the greatest influence on the current high fashion shoe craze. Unlike the Air Max and its breakthrough technology, simplicity is what sets the Stan Smith apart from other sneaker icons. The model has remained relatively unchanged since it’s inception in 1965 and has sold over 30 million pairs. The shoe’s current name references an American tennis player named Stan Smith who wore a shoe called the Adidas Haillet, named after the 1950’s French tennis star Robert Haillet. In 1971, the Haillet would soon undergo a name change when Smith reached number one status after winning both Wimbledon and the U.S. Open. 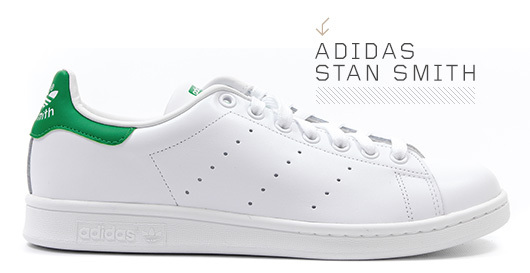 Adidas made the perfect play when they chose to change the Haillet to the Stan Smith. The brand was virtually unknown in the U.S. and the endorsement by tennis’ newest star was the perfect introduction to the American market. From Belgian fashion designer Raf Simons to Pharrell, the Stan Smith has had numerous collaborators. Word is that the next collaboration is with none other than Stan Smith (yes, the original Stan Smith). It all comes full circle. The “44” or as it’s known today, “Authentic”, was one the first models launched by the Van Doren Rubber Company back in 1966 in sunny California. Legend has it that on the morning of their first day of business, Paul Van Doren and three partners sold 12 pairs of sneakers. They told their customers to come back in the afternoon to pick up their custom made shoes. The partners then rushed to their factory behind the shop to make each shoe. They managed to make all 12, but didn’t have cash in order to make change for the sales. They gave the customers the shoes and had to ask them to come back the next day to pay; they all did. Skateboarders instantly took a liking to Vans grippy soles that fit perfectly onto the decks of their boards. Throughout the ‘70’s, Vans were the go-to shoe not only for skaters but BMX’ers and surfers alike. The brand hit iconic status when Sean Penn wore them in the 1982 film “Fast Times At Ridgemont High.” More recently, Vans had a starring role in the 2001 skateboarding documentary titled “Dogtown And Z-Boys”, which was narrated by Sean Penn. We wouldn’t have two of these five classics if it weren’t for brothers Adolf and Rudolf Dassler who started making shoes in 1924. At the time, the Dassler Brother’s company was a huge success selling over 200,000 pairs a year. 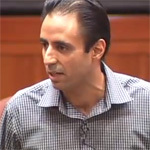 But a major rift developed between brothers causing them to pursue their own businesses. In 1948, Adolf founded Adidas and Rudolf created the early version of Puma, which was called Ruda. The Puma Suede, or Clyde as it’s known to sneaker insiders, was made famous by basketball legend Walter “Clyde” Frazier of the New York Knicks. In the 1970’s, he asked Puma to make him a wider version of their basketball shoe and the Clyde was born. Even though the suede shoe stood out amongst the competitor’s leather versions, the model never really took off. But Mr. Frazier’s cool, laid-back style provided the foundation for the Puma Suede to become the kicks of choice by b-boys and the hip-hop legends of the 80’s. Easily one of the most recognized brands in the world, Nike and its Swoosh logo are youngsters compared to some of their older counterparts. The brand started in 1971, some twenty plus years later than competitor, Adidas. They may have been the new kids but they leaped ahead of the competition largely due to one factor alone: innovation. Nike first caught buyer’s attention with its Air cushioning system, making its debut in 1979’s Tailwind running shoe. 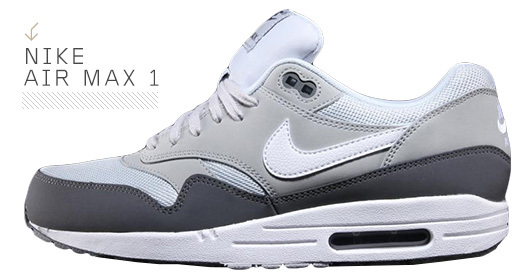 But 1987 was the year that changed the game forever when Nike launched the Air Max. For the first time in history, Nike made their technology visible, placing clear air chambers in the back sole. Combining technology with style has always been Nikes secret weapon. Year after year, Nike reissues the Air Max 1 in new colors and materials further solidifying its stature as a collector’s favorite. I got my first pair of Chuck Taylor All-stars this year as a gift for my birthday. I’ve actually been pretty unhappy with them. For a shoe with basketball origins, the sizing is pretty small. Chuck Taylors are incredibly narrow. I normal wear a size 13 W, and I had to get a size 15 to get something that I could actually get on my foot. They are still too narrow, but have a good inch and a half of empty shoe at the toe, because I had to go with such a large size. Not only that, but it was less than a month before the shoes started coming apart. The rubber banding that runs around the base of the shoe has started separating from the sole and the upper. My previous pair of workout shoes have lasted me for two years with minimal wear. The only reason I got rid of them is because I was staying with a friend for a while after a move and his cat decided to use my gym bag for a litterbox. I expected a lot more from an $85 pair of shoes, and I don’t plan on getting another pair. What about K-Swiss and Adidas Sambas? Both classics and have stood the test of time. 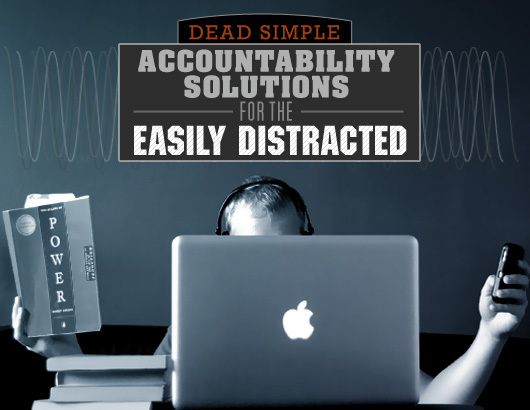 Great List. I’m glad to see Stan Smiths getting love. I would have put Addidas Top Tens instead of the Nike Air Max, and aren’t those vans simply a homage to Keds? I’d put the Nike Cortez above the Air Max. It’s older, simpler, and more iconic. Great article, though. I think I’ve owned at least one version of each of these shoes.